Halloween might be the best night of the year to connect with neighbors. If you have kids, you have the permission to go door-to-door and introduce yourself to your neighbors. If you don’t have kids, many neighbors will come to you seeking sugary candy. Yet you can give them something much better – friendship. How can you take advantage of these opportunities to bless your neighbors this Halloween? In many places, including Minneapolis this year, it’s going to be pretty cold. What can you do to help freezing parents and children warm up? How about free hot Apple Cider or Hot Chocolate? In addition to free drinks, do you have a portable bonfire pit? Set it up in the front yard and invite people to sit down and warm up before they move on to the next street. Learn the names of any of the adults that come by. Ask them where they live and introduce your family. Write down the names and addresses of the people you meet so you can remember them later and be praying for them. Team up with the neighbors you know and throw a mini-block party on your street. Be the really fun groups of houses so that you draw more people down your street. 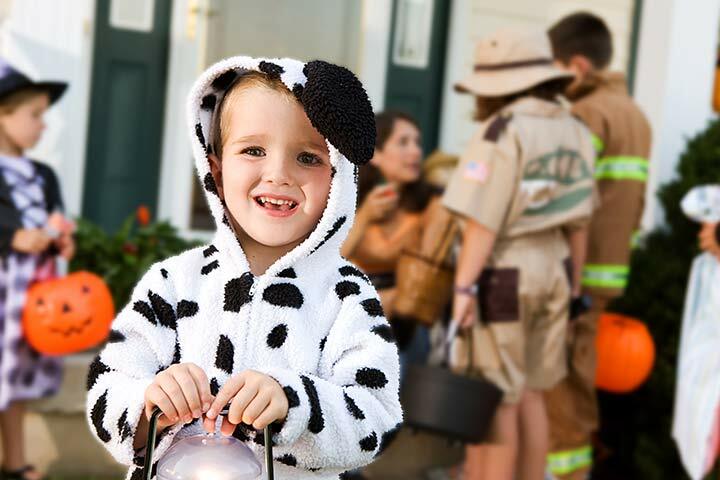 Go trick or treating with another family and pick up more in your group as you walk along. It’s a great opportunity to get to know other families better as you walk along. Halloween is important to kids. Make sure to hand out candy. Buy some great candy and don’t be stingy with it. When I was a kid, I knew who gave out the full candy bars and who gave out the grandma candy that tasted like rotten peanut butter. Turn some lights on so kids know you’re home and so parents know you’re welcoming. Why just hand out candy? Give them a little toy from a dollar or party store. Glow sticks or bracelets are a great hit and help promote visibility on the streets. Celebrate the kids’ costumes. Have fun and make them feel special when they come to your door. How are you going to follow-up with the people you meet? How about handing out invitations and having a Halloween afterparty for the Adults to have some festive beverages and snacks? Or, how about inviting people to a party on the following weekend? Sometime in October, host a Community Pumpkin Carving Party at your house. You can even have all the kids judge the pumpkins and give out prizes. Have some games, snacks, and beverages available. No matter what you do this Halloween, pray that God would open doors to good conversations and friendships and that, through His Spirit, they people might see a hint of God’s Kingdom and His love.